This is a quick attempt to break down the DC Rebirth comic lineup in the most basic terms possible. It might help newish/casual readers know which book to try! Or it may make it all worse. Probably that one. Well, its NOT A REBOOT, as they keep insisting in their announcements. Loudly. Its just a spot where you can jump into reading their stuff, but which is designed to appeal more to older fans than their last few whacks at a jumping on point. You know, just like a reboot would be! SO. Which books to try? Why does it look like there are 14 of each book coming out? In reality, the Rebirth # 1 for each series is basically a zero issue, or a point 1 if you are familiar with Marvel’s version of this. 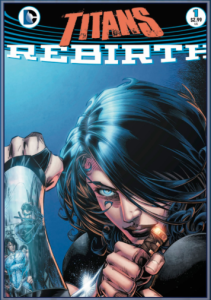 This is just the books listed in the April DC Rebirth Preview, which means it will only take you through the books coming out before the end of June. The other books have been announced, but not previewed yet. I’ll come back and update it at some point for the rest of the books as they get previewed, or as I find spare time. 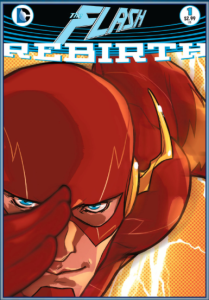 Also, the entire first wave of Rebirth books are bi-weekly, meaning it comes out every other Wednesday. That is called Double-shipping, because the books have new issues out twice as fast as they should as the standard monthly release schedule. There ARE books in the DC lineup that won’t be double-shipping, but they are further down the pipeline. 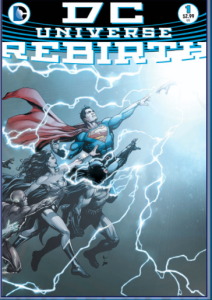 Rebirth starts at the end of May when DC Rebirth Special # 1 comes out. There is only 1 issue, they just…# them that way…yeah. Good value-for-money, has the intense continuity buff universe-resetting info in it. So if you find this thread helpful, you don’t particularly need this book, I suspect. Dunno though. 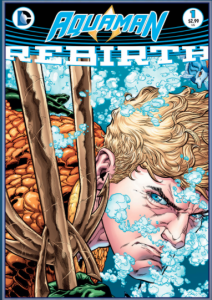 What are these Rebirth issues? 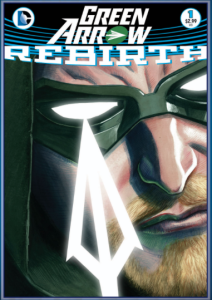 Most of the Rebirth books get a “___ Rebirth # 1” issue. 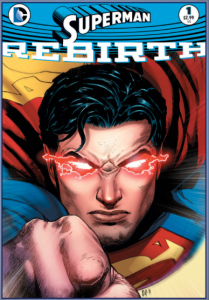 – No, I don’t know if the ___ Rebirth # 1s are required reading. Sorry. Probably? I won’t know till they drop either. – Yes, it is confusing. This is that one pre-series kickoff issue. There is only 1 of it. This is the beginning of the DC ongoing Batman series. NOTE: In most double-shipped books the artists will rotate back and forth every issue, which is confusing to and hard on newer readers. Batman is switching artists every arc(every 4-6 issues), which should be easier on newer readers. Mikel Janin is doing the second arc. It will be amazing. Don’t panic. This is totally just a number one. Don’t ask why they are counting up from 934, it doesn’t matter anyway. 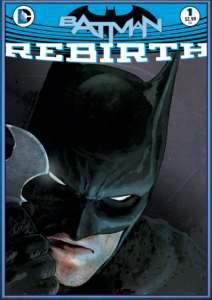 There is no Detective Comics Rebirth # 1, you just start here. 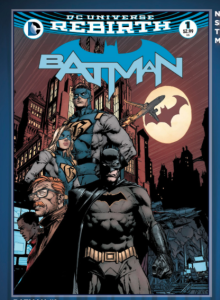 Detective Comics is usually Batman: The Other Batman Series, but this new run appears to be focused on the Batman family, particularly the women heroines. 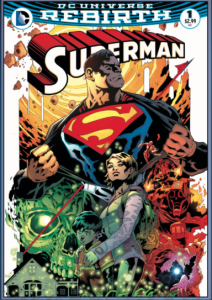 Superman is a VERY complicated thing right now, so if you plan to read the series, you should definitely get this, I suspect. This is the beginning of the DC ongoing Superman series. Like Detective Comics, don’t panic. This is totally just a number one. Don’t ask why they are counting up from 957, it doesn’t matter anyway. 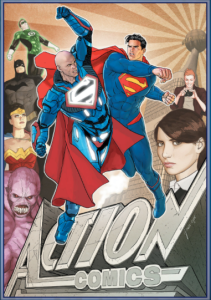 There is no Action Comics Rebirth # 1, you just start here. 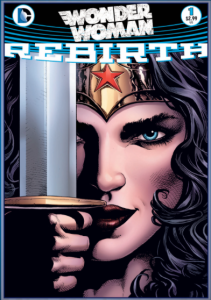 This is the beginning of the DC ongoing Wonder Woman series. 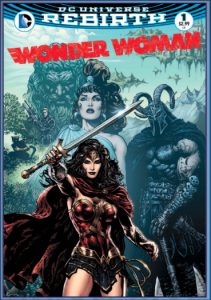 The Main (only) Wonder Woman Title. NOTE: The odd numbered issues have lineart by Liam Sharpe, and are one story, while the even-numbered issues have Nicola Scott lineart, and are a sort of ‘year one’ origin story happening at the same time. 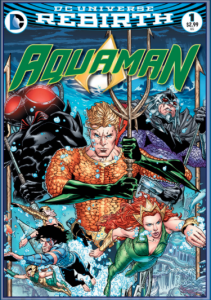 This is the beginning of the DC ongoing Aquaman series. 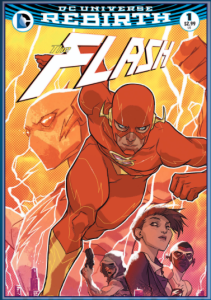 This is the beginning of the DC ongoing Flash series. 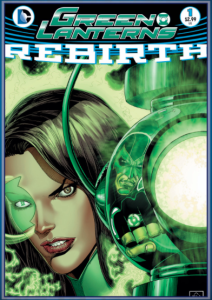 The Green Lanterns for this series are Jessica Cruz and Simon Baz. This is the beginning of the DC ongoing Green Lantern series. 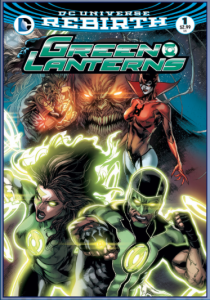 This will be the main Green Lantern series; the rest are all further down the release schedule. 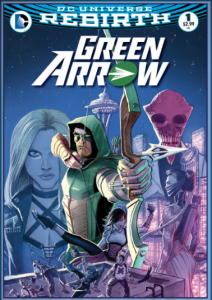 This is the beginning of the DC ongoing Green Arrow series. 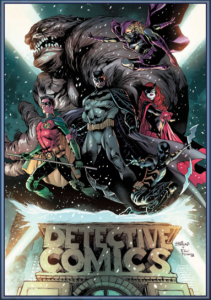 The Titans series itself was not in the previews for April; it will get added here when it is. Editing comics & doing my best to help women & girls thrive in geek culture.